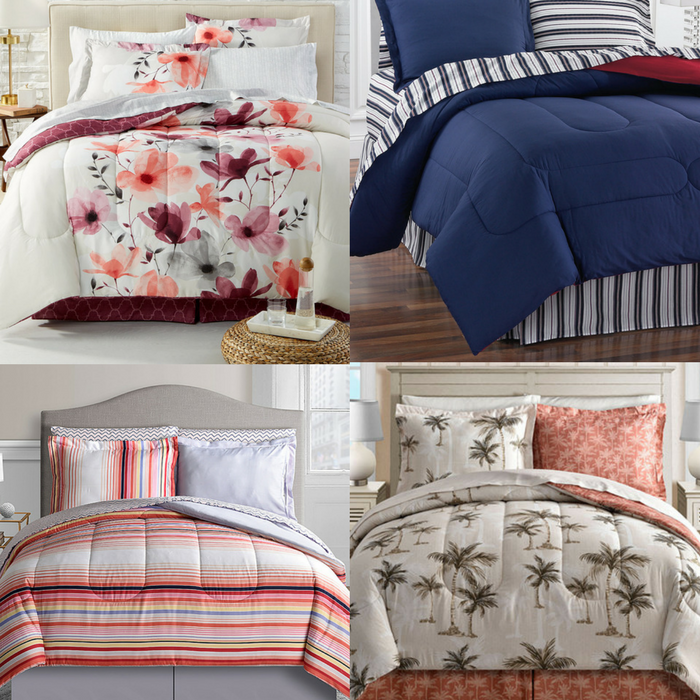 8-Piece Comforter Sets Just $39.99! Down From $100! You are here: Home / Instagram / 8-Piece Comforter Sets Just $39.99! Down From $100! This is something you shouldn’t miss! Macy’s is having a great deal on their comforter sets again! I love all the designs and colors which made me confused what to buy! Go ahead and pick your choice! It’s FREE store pick-up or FREE shipping for orders over $99 or with any beauty purchase! Instantly transform your bedroom’s look with the stylish and tranquil appeal of these bedding ensembles, featuring soft fabric highlighted with a rich blue tone and a reversible design consisting of a bold, floral-print pattern on one side and a grey dotted design on the other.